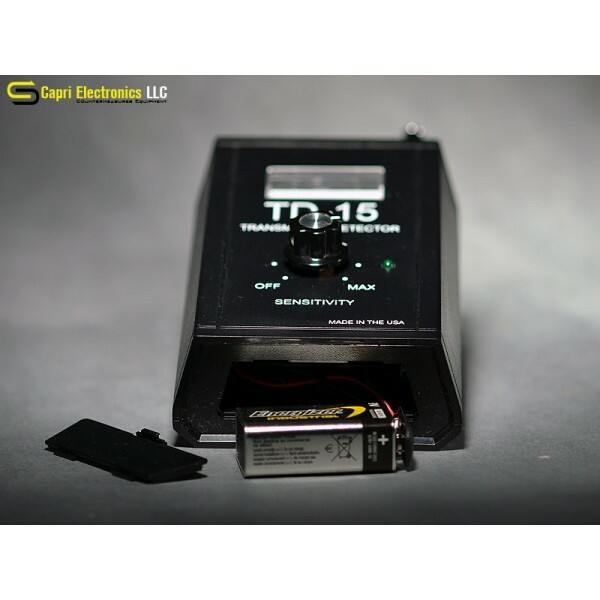 The transmitter Detector TD-15 is designed to pick up subminiature radio transmitters wherever they are located - in your home, office or car. 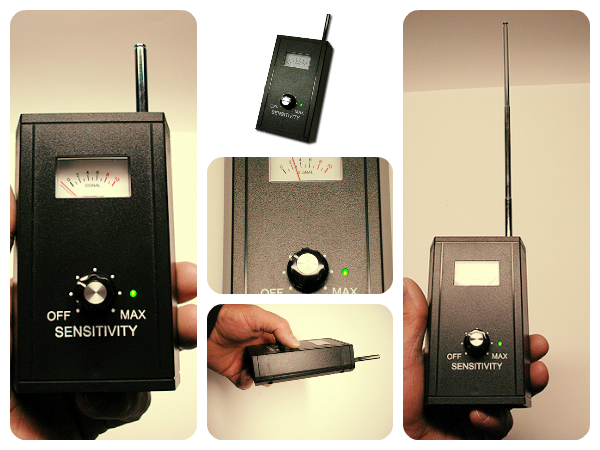 For those who need a very sensitive radio frequency (RF) detector, we recommend the TD-15. With its bandwidth of 1 MHz to 2500 MHz and its extra sensitive circuitry, it will pick up signals that other detectors may miss. Using the convenient SENSITIVITY control and meter readings, you can quickly zero in on hidden transmitters. You can also use the TD-15 to check your telephone and its associated wiring for RF bugs and taps. 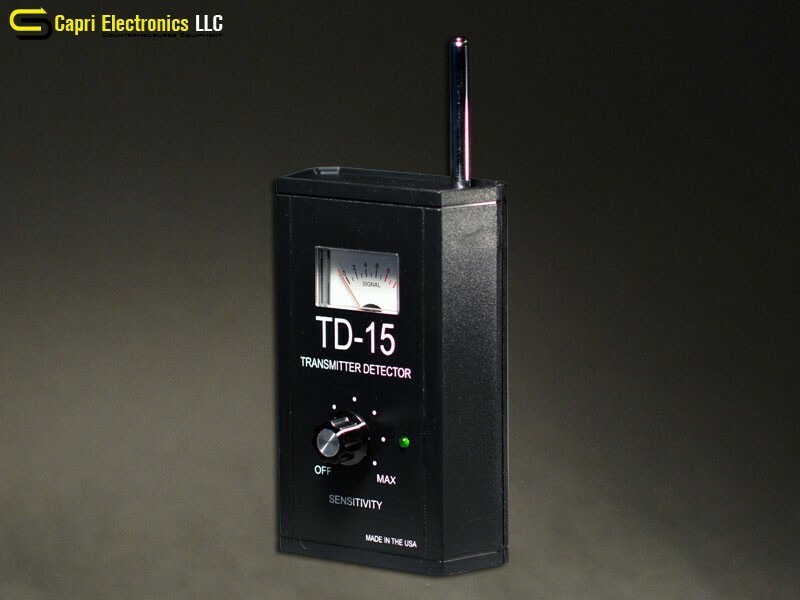 Because of its high sensitivity, the TD-15 is not recommended for use in areas with high levels of ambient RF unless you are willing to spend a little time experimenting with and becoming familiar with the operating characteristics of the unit. The TD-15, which weighs 7 oz., is furnished in a high-impact case that measures 5.3" x 3.3" x 1.5". The telescoping whip antenna can be extended 33". The unit comes complete with 9 volt battery, antenna and instructions.